Mission Bay Cafe has been operating in the hub of Mission Bay for over 20 years. We specialize as a cafe and eatery, and are open 7 days a week, serving breakfast, lunch and dinner. 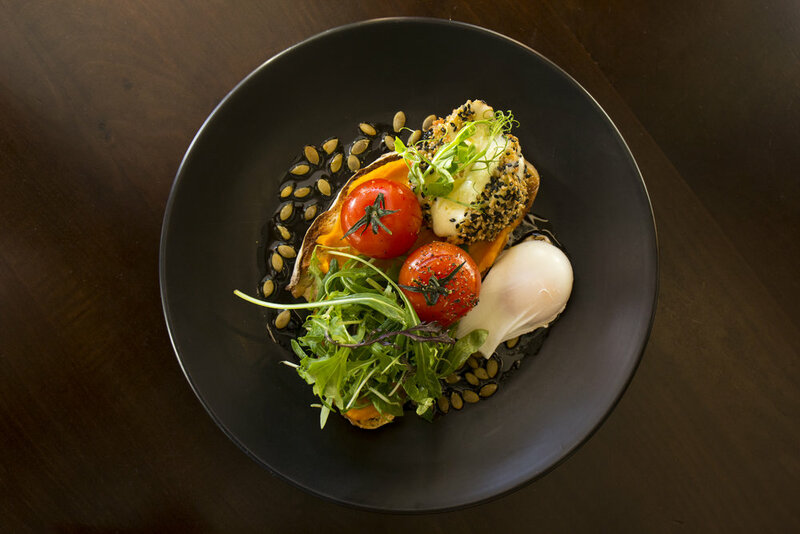 We work hard to provide an innovative Mediterranean menu that uses fresh New Zealand produce. Situated only 8 minutes from the CBD, you can retreat to the beautiful and relaxed waterfront setting. Mark and Tracey really enjoy the friendships and loyalty from so many customers and staff, that before you now it they are friends! Living and working in Mission Bay means this suburb is really important to us. Mark had chaired the Mission Bay Business Assn. for 15 years. He is passionate about improving the facilities including upgrading the toilets, fitness area, tree lights, supporting events and working hard to make the area super safe for everyone. Our team are like family, with many key staff having worked for us for over 5 years. Loyal, local suppliers have been providing us with fresh meat, veges, dry goods, drinks and especially Toasted Espresso roasting our coffee for the past 10 years! Come and try it - it's really popular! Call (09) 528 0017 or book online.